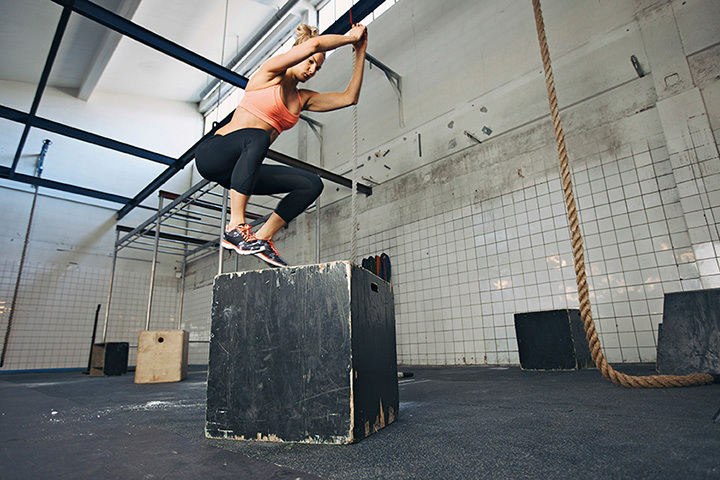 For those looking for one of the most invigorating workouts around, CrossFit is your answer. This exercise can transform you into a supreme athlete, incorporating elements of running, rowing, powerlifting, and much more. From unpretentious gym spaces to world-class facilities, here are the 10 best CrossFit gyms in Michigan. Interested in CrossFit? Personal training? Even nutrition help? Friction CrossFit in Grand Rapids is not only a fully-functional CrossFit gym, but also an authorized Driven affiliate, which gives it comparatively exclusive access to the Driven line of nutrition products. Best of all, Friction CrossFit offers potential new members a free introductory visit, which allows you to more readily tell if this is the place for you. Jackson's CrossFit 517 offers a wide range of options for those looking to get more into CrossFit, which helps make sure things don't go stale. Want to keep your kids active? Interested in learning Brazilian Jiu-Jitsu? Just want to catch up on the basics of CrossFit? You'll find all that right here with the wide range of classes the gym offers. Throw in special pricing and you can find the workout for you amid a highly supportive community. CC Fit, sometimes known as CrossFit Hakkapeliitta after the region's Finnish roots, boasts a 2,300-square-foot facility offers a wide range of options from rowing machines to assault bikes and more to help when the weather forces you to stay inside. When outside is a better deal, CC Fit's running track goes right through town, offering you a wide range of things to see while getting fit. Farmington Hills is home to Five Lakes CrossFit, a gym that not only offers experience, but also support, to make sure that visitors get their workout and look to stick with it. With not only CrossFit, but also a kind of CrossFit developed especially for the younger set, it's a great idea for the whole family. Plus, the gym goes beyond CrossFit to include such things as TACFIT and mobility training, as well as more standard gym fare. Ann Arbor's Joust Strength & Fitness represents something of a bit of history, at last report; it's said to be the longest-running CrossFit gym in Ann Arbor. With CrossFit, several breeds of weightlifting choices including kettlebells and Olympic-style, yoga, gymnastics and more, it's a safe bet that you may start here for the CrossFit, but you may well stick around for several other reasons. Motor City CrossFit has been operating just over a decade now, and it shows in the staff's training and expertise. It's also devoted to get you to come back, thanks to a clear focus on results and fun. It even boasts a tagline: “Are you ready to start enjoying the gym again?” More than a few people may say they never did, but with free assessments and a range of options, Motor City CrossFit has been helping people reach their fitness goals for years, from building a Division 1 College athlete to getting one person ready for Special Forces training. Blackhorse CrossFit, described as Adrian's “premier CrossFit” has an unique goal in mind for its clients: accessibility. Working hard to not be regarded as an “industrialized” gym, and more often called a “box” because the activities done therein can be done anywhere, it emphasizes an atmosphere of community above all. Naturally, that's not to say the workout isn't a powerful one, as it not only has a standard schedule but also periodic special events to keep things fresh. Max Limit CrossFit in Harrison Township promises visitors the opportunity to forget their troubles for an hour and just focus on their personal fitness goals. With special courses like the USA Weightlifting course, access to nutrition plans, and even special rates for drop-in sessions for those who just want to try the place out to see if it's to their liking, Max Limit CrossFit will offer an impressive range of options to help get its visitors fit. First Generation CrossFit is a great gym for all skill levels, owing mainly to the fact that it has a specific beginner's program. Called “Couch 2 CrossFit,” it's specifically geared toward those people who know they should be exercising, but just haven't been. With four Tuesday sessions and exercise and nutrition goals to follow for the week to come, the result is a program graduation that leaves you a healthier person than you were when you walked in. Since it doesn't stop there, there's a lot to like at First Generation. Head on out to Chesaning to get a look at CrossFit Steel Courage. Though the name sounds a bit overblown, the result goes for broad, generalized, but ultimately intense fitness training. With programs for kids, as well as special classes and coaches with plenty of experience in the field, the end result is an invigorating, intense workout that should deliver on every front you'd expect it to.